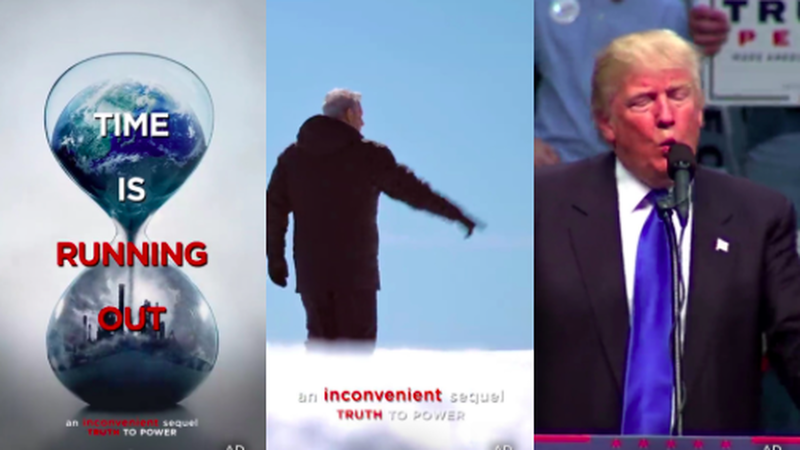 Paramount is giving away film ticket codes via Snapchat ads to users aged 13 to 17 to see Al Gore's climate change sequel An Inconvenient Sequel. Users 18+ will instead see showtimes from Fandango rather than the targeted ads from Snapchat. Paramount tested the new technique last week in NY and LA and are expanding the campaign to more cities after successful results. Why it matters: It gives Snapchat an opportunity to show off its ability to sell tickets through targeted advertising and it's a good teaser for how Snapchat will be able to work with advertisers in the media and entertainment spaces in the future. It also reminds one how far the company has come from an ad targeting perspective.The company has moved away from pure branding ads toward direct-to-sale campaigns due to the heavy investments they've made in ad tech. From a political perspective, it shows the desire by Gore and Paramount to reach a very young audience with a political message/film that typically is targeted towards older generations. Go deeper: Snapchat announced a new ad-targeting/modeling partnership with Neustar, a Virginia-based ad tech firm, that will allow advertisers to better understand how Snapchat ad campaigns drive return on investments. Snapchat drives 5.1 times the category average return on investment for movie theatrical release campaigns, per a new Neustar/Snapchat research released Tuesday.